Andy Butchart landed a fine bronze medal at the Euro Cross in Slovakia as he once again proved his class at international level. 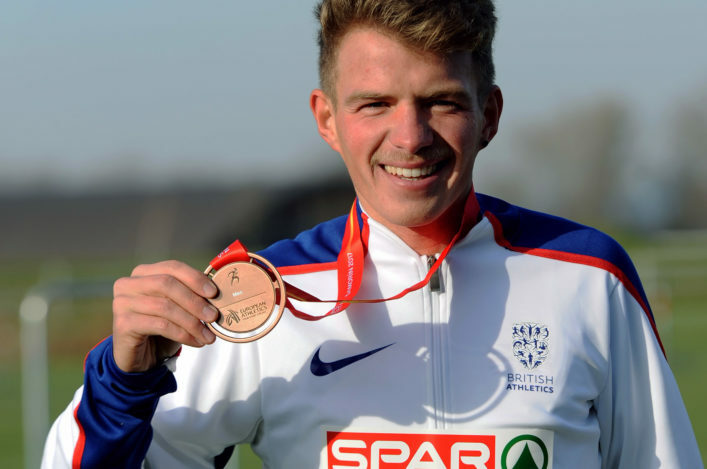 A year after finishing fourth when Callum Hawkins took third in Italy last December, the Central AC athlete led the GB and NI men to team bronze medals in the Senior Men’s race and thus made it successive bronzes for Scottish athletes. Butchart led the race in stages but, with GB weakened for the team medals when Dewi Griffiths had to drop out mid-race, ultimately had to defer to race winner Kigen Ozbilen of Turkey and silver medallist Adel Mechaal of Spain. Many congratulations to Andy, his family and coach Terrence Mahon with the GB and NI squad taking team bronze medals, too. ‘It was very different to last year,’ said Andy. ‘With the weather being so cold this year, training had to be different but out on the racecourse it went perfectly. It went exactly how I wanted it to go and I was confident from the start knowing I was in reasonable shape. ‘The last lap was frustrating, once they were gone they were gone and on this sort of course there is no way of catching them. I wish I could have stayed with them but I lost a bit of concentration and that’s all it takes. I’m happy with the bronze medal and hopefully there will be many more to come. 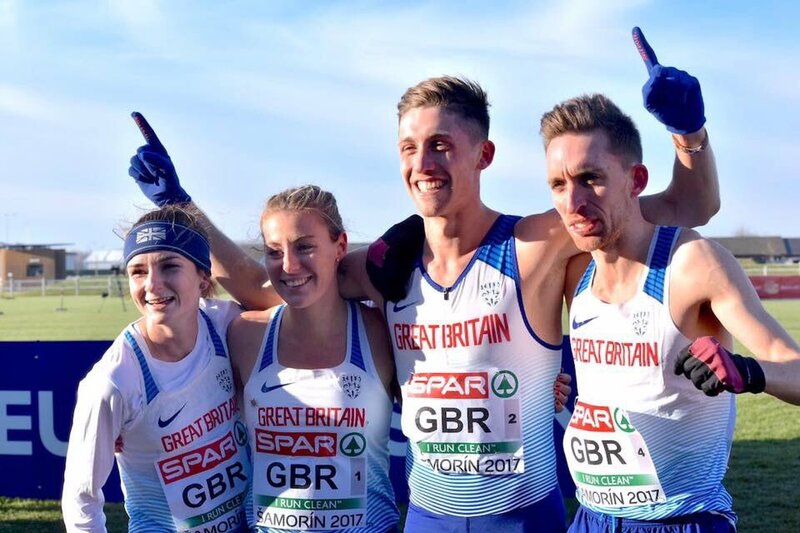 Scotland’s Cameron Boyek helped the GN and NI team to victory in the first ever 4 x 1.5K Mixed Relay event at the Euro Cross. 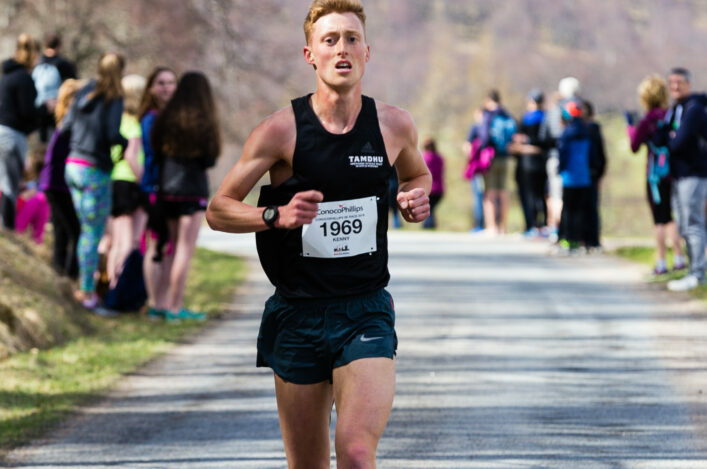 Central AC athlete Cameron was on the second leg and took the Brits into a lead that they held on the final two legs to see off the Czech Republic by one second. ‘It’s an unbelievable feeling and a great honour to be here,’ said the Scottish 4K cross country champion, who lifted the team from third to first after the opening leg by Melissa Courtney. 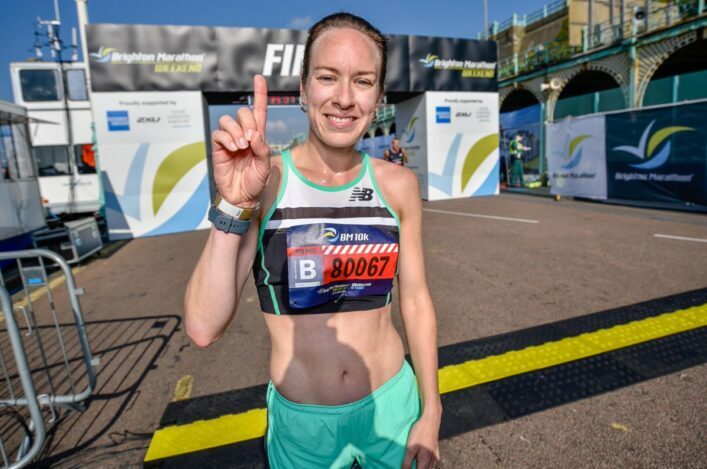 Steph Twell once again maintained her superb record at these championships – with a top 10 finish and a team gold. 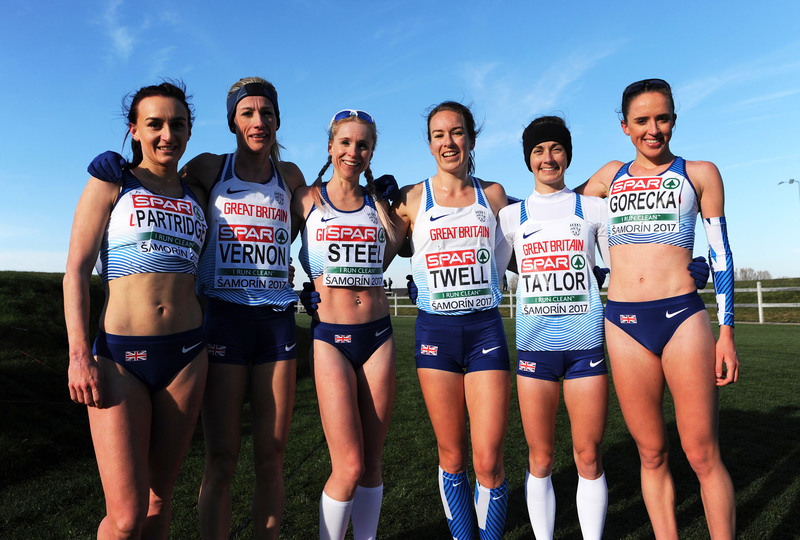 Twell came home just behind team-mate Gemma Steel to take 10th place and the GB women once again were crowned Euro Cross champions, with Charlotte Taylor placed in sixth and Emelia Gorecka at eighth. ‘We are so happy and there are lots of team hugs and pictures,’ said Steph. Mhairi Maclennan took her bow in a GB vest in Slovakia and came up with a really fine performance to take ninth place and a team gold in the Women’s U23 race in Samorin. Jess Judd won bronze and there were Brits at four and five, as well, with Mhairi the next athlete home in terms of the six-strong team. 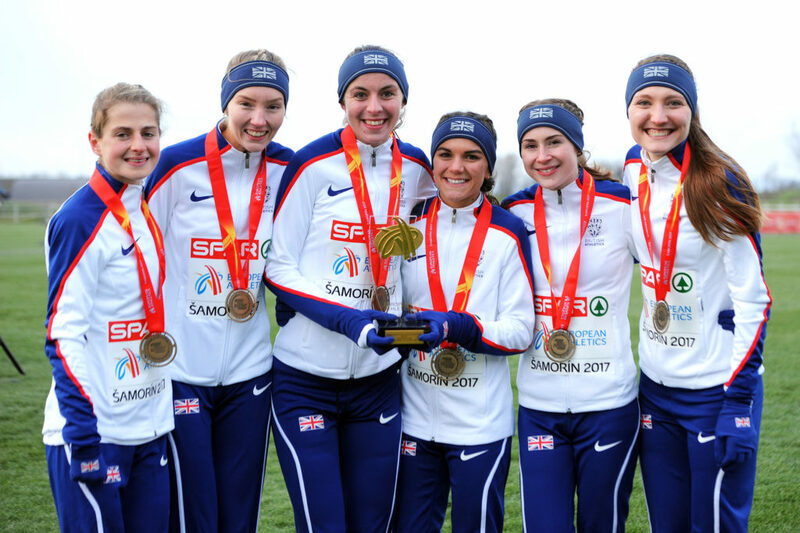 ‘It is so exciting to help GB to a team gold medal,’ said the Edinburgh Uni Hare and Hounds athlete who grew up with Inverness Harriers. ‘I’ve learned a lot from being out and with these more experienced girls who have been to so many championships. I was completely in the dark about how all this kind of thing works. They helped calm me down and helped the nerves – I was rooming with Amy Griffiths and she’s a lot of experience, so I learned from her. Thanks! 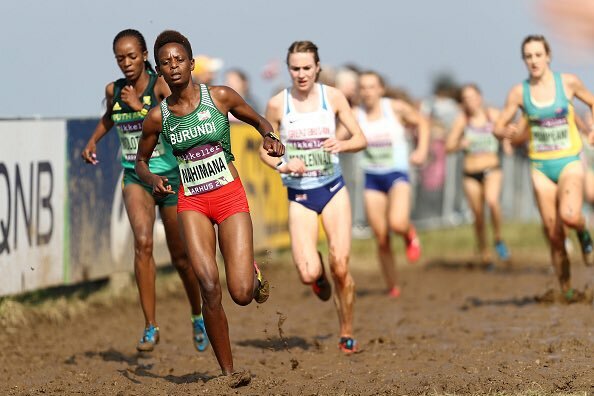 *Erin Wallace had to withdraw from the GB team for the Junior Women’s race at the Euro Cross late last week with an injury. We understand Erin is hopeful of being back in action soon and wish her well with the recovery.